Hale Centre Theatre combines ballet, George Gershwin's music, Ira Gershwin's lyrics and the dancing influence of Gene Kelly in their Utah production of An American in Paris, which runs through April 6. The schedule includes nightly shows Mondays through Fridays, with three showtimes on Saturdays. The Gershwin brothers originally wrote An American in Paris as a musical in 1928, and it achieved further acclaim when the film version won an Academy Award for best picture in 1951. The movie features a celebrated 17-minute ballet scene danced by Kelly and Leslie Caron, but it's also full of immediately recognizable songs. "The Gershwin music in this show is as relevant and moving as it was when it was written," David Tinney, who directs the HCT production, says. "When you hear songs like 'I Got Rhythm' and ''S Wonderful,' it feels familiar and yet still so fresh and new." This production marks the HCT debut of Juliet Doherty, who has performed at Lincoln Center and the Kennedy Center and danced with the Rockettes, in the role of Lise. Now, more than ever, listening to the voices of black men and women is essential to understanding who we are as a nation and as individuals, and to moving forward in the 21st century. 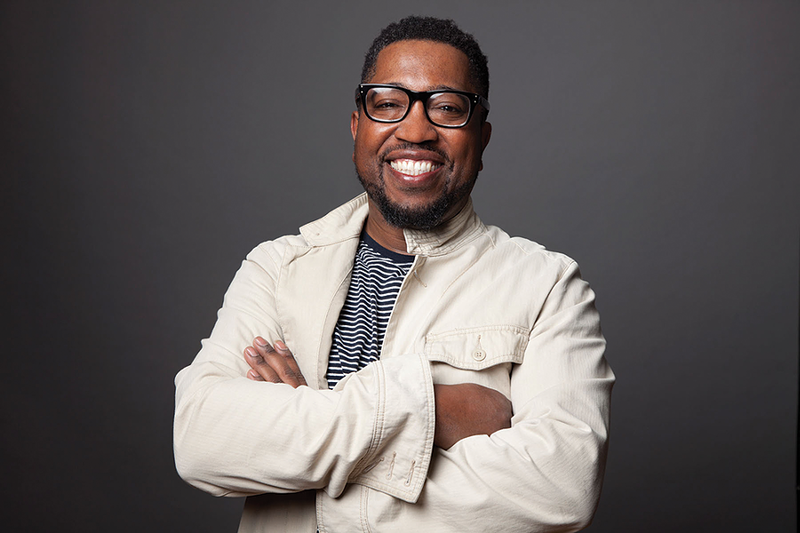 Last year, Major Jackson was named part of a new literary vanguard of black male writers by The New York Times, which cited the 32 men in the group for their contributions to an "extraordinary period of artistry." Jackson has an impressive résumé: Poetry editor at the Harvard Review; distinguished professor at the University of Vermont; and recipient of numerous prizes and fellowships, among them a Guggenheim Fellowship and a Pushcart Prize. His four published poetry collections include 2015's Roll Deep, a documentation of his travels, the urban landscape and the perils of having a black body in this world. The Times described it as "a remixed Odyssey whose speaker 'rolls deep' the same way Odysseus did as he worried and warred far from home, by staying true to where he's from." In Jackson's case, that's Philadelphia, a place he returns to and ranges away from again and again. His fifth collection, The Absurd Man, is expected next year, so perhaps we might hear some new poems alongside the old. 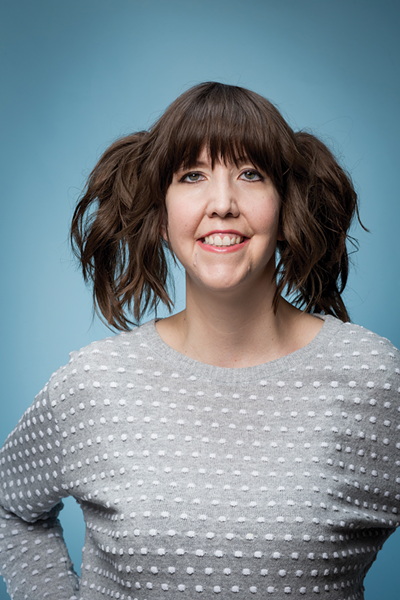 With her unabashedly childlike attitude and unbridled enthusiasm, Andy Erikson comes across as the giggly all-American girl next door, one who's unceasingly smiley, strikingly self-aware, yet shy and self-effacing. Those qualities find the 32-year-old comedian eliciting laughter by way of her natural charm and wistful reflection. Her topics include her love of cats and unicorns, descriptions of nerdy friends, reflections about growing up in a trailer park and thoughts on living with a genetic disorder known as Marfan syndrome, a disease that results in elongated extremities and adverse effects on a person's internal organs. "Growing up with a heart condition, I felt different and alone," she says via email. "But as a comedian, I get to embrace what makes me different and inspire others to do the same." That's part of the reason Erikson always manages to endear herself to her audiences. "I think comedy is a powerful thing," she continues. "It connects us and has healing powers as well. I like to write jokes and tell stories that remind people that although this world can be dark and scary at times, it's also a silly and magical place." Erikson means what she says; as just one example, she proposed to her boyfriend while onstage. Happily, he took her seriously and accepted. With the Sundance Film Festival still just in the rearview mirror, it's easy to cling to the idea of a film festival as synonymous with edgy, adult fare. But great films come in all shapes and sizes, from all over the world and for every kind of audience. The Utah Film Center's eighth annual Tumbleweeds Film Festival for Children and Youth provides an opportunity to invite movie-lovers of all ages into the experience of appreciating the art of filmmaking. Over its three days, Tumbleweeds showcases a program of features, short films, animation and documentaries for and about young people. 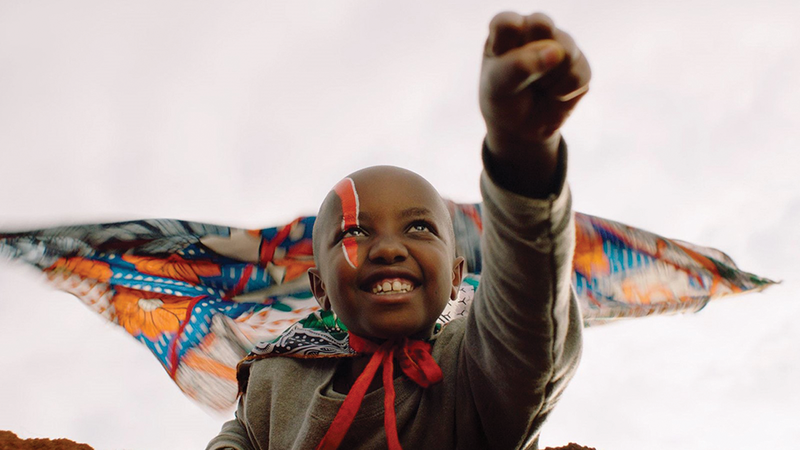 The opening night feature, Supa Modo (pictured), tells the story of a 9-year-old terminally ill Kenyan girl named Jo and the way her village comes together to fulfill her dream of being a superhero. Director Likarion Wainaina is scheduled to attend for a genuine film-fest Q&A, and the feature is presented in the kid-friendly manner Tumbleweeds has employed over its history—with English subtitles on screen and English "subtitle reader" narration through assisted listening devices for audience members too young to read.